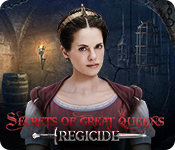 Secrets of Great Queens: Regicide is rated 4.1 out of 5 by 12. Rated 5 out of 5 by ykchu2 from Keep up the good work! Interesting twist in the stories and challenging puzzles. Rated 5 out of 5 by skullfun from ~~A GREAT SEQUEL TO THE FIRST SECRETS OF GREAT QUEENS!~~ In the first edition of Secrets of Great Queens: Old Tower, we were introduced to this new HOPA series from Vendel Games. Regicide tells a similar tale, but sets in a different part of Europe. This time the King of France has been assassinated and Queen Marie d’ Medici has been accused of witchcraft and the murder of her husband! As a member of the Royal Secret Service, you need to track down the real killer and prove the Queen’s innocence. Are you ready for the next assignment? I have to give Vendel games 5 stars for the engaging storytelling style which successfully maintains the momentum of the game from start to finish, making it a really enjoyable experience for casual gamers of every level. On the visual side, Secrets of Great Queens: Regicide may look a bit out-dated. I think it was intentional though so the developers could set the tone for 17th century Europe by incorporating washed-out colors and old-school artwork, but that's what makes this second installment so unique. Secrets of Great Queens: Regicide is pleasant to look at, because of this use of old-school artwork. The locations are wonderfully designed and the ominous undertone that stays prevalent throughout the game is incredibly effective. The game could have been crafted to be more difficult to play, but sometimes you just want an adventure that is relaxing and intriguing...it all depends on what mood your in. If your looking for a real mind-boggling game, this isn't the one. Gameplay wise, Secrets of Great Queens: Regicide in my opinion is unexpectedly creative. 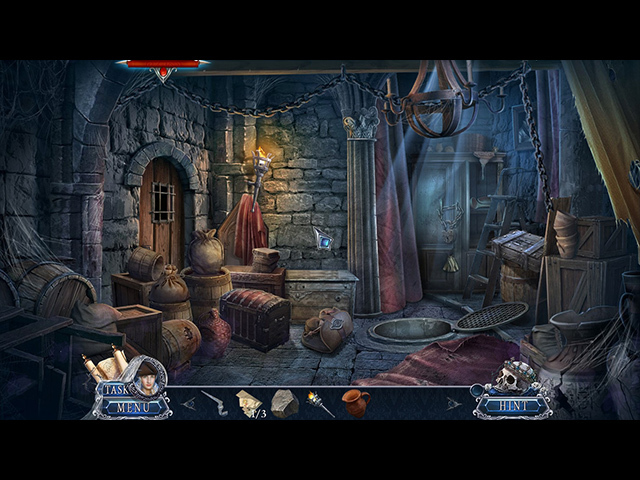 The main adventure portion plays it pretty safe, but the hidden objects and the puzzles make up for that. 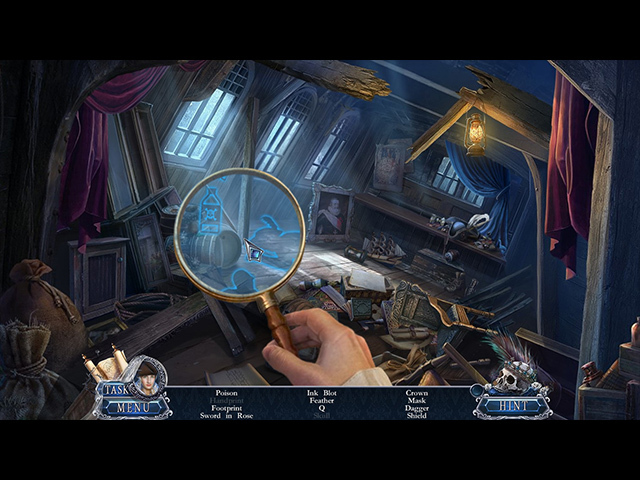 The hidden object scenes are plenty and addicting to say the least. Vendel Games went outside their comfort zone and added various creative twists to these scenes; they are not just some random junk-piles, but actually fit right into the story. As for the puzzles, there is a nice mix of easy and semi-difficult ones. The more challenging ones are usually just variations of the classic formats, but cleverly done in a way that adds a layer of complexity. The main game took me a little over three hours to complete and the bonus chapter’s runtime was about an hour. The Collector’s Edition comes with all the usual; a strategy guide, wallpapers, concept art, soundtracks, achievements, collectibles, and morphing objects. I chose to play the CE version for all the extras and the bonus chapter but if that doesn't appeal to you then go with this SE version. I really think this game deserves a better rating than 3 stars and I look forward to the next edition of Secrets of Great Queens too. Cheers! Rated 5 out of 5 by LikeAGoodStory from History Very Well Done As others have mentioned, I would love to see more historical fiction games, especially when they are this well done. There are surprises in this storyline and that does not happen often. Bravo, Vendel! I really look forward to more games in this series and others! The detail in this game is just fabulous and flawless, so realistic. HOPs are many but fun and the puzzles fit right into the storyline, always a plus with me. To say any more would only repeat what other reviewers have said. My review is based upon completed play of the game. Rated 5 out of 5 by biscuitsmama from GREAT QUEENS IS FINALLY BACK! If you love a great historical game Secrets of Great Queens has returned this time with Regicide. I loved the first game – Old Tower and have been waiting for two years hoping there would be another game in the series. History has been one of my passions so when I see a game based on historical events it is sure to be a keeper for me. King Henri IV has been assassinated by Francois Ravaillac and you play the game as Alfonso Campanella the head of the Royal Secret Service. With your companion Adrianna at your side you are off to find out the truth of who hired Francois and to clear the name of Queen Marie who many believe was behind the assassination. With most of the more recent games containing only three or four chapters this game is a treat with five plus the bonus game. The graphics are colorful and crisp with realistic looking characters and this always adds to my enjoyment of any game. While the characterizations are excellent, the voiceovers do not even attempt to sound realistic but that’s not surprising. The HOPS are excellent and well-designed with many of them including puzzles. I enjoyed the variety in the HOPS and even those that were not my favorite list style were still very good. The Puzzles in the game were more interesting and most seemed to have a bit more challenge – another good thing about this game. This is a wonderful and refreshing game without glowing dark eyes and some evil entity attempting a takeover of humanity! For many, this might just be another same ole, same ole HOPA game but since I love a great historical game based mostly on true events my criteria might be a bit different. My enjoyment of a game is mostly based on the storyline as well as the HOPS and Puzzles. Secrets of Great Queens: Regicide is quite entertaining to play and has a well-developed storyline. With excellent graphics, sound, and interesting characters Secrets of Great Queens becomes the complete package for me. Even though this is a game I will buy, please try the demo to see if it is one you will enjoy. Happy gaming! Rated 4 out of 5 by bratzgram from Love old school I won't go into detail as the usual reviewers already have. Enjoyed this demo thoroughly! A bit old school but great story, fun HO's and and mini games. Will be my next buy. Rated 4 out of 5 by Majestyx12 from Royal Secret Service in France I liked this more than I thought I would. 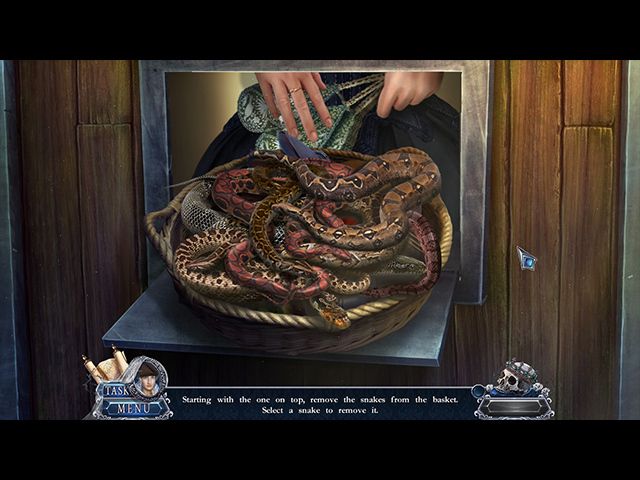 It was relaxing with plenty of hidden objects with lists, just how I like them. Didn't have much back and forth. Not a lot of put this here or there. Not complicated. This is the second in the series with Old Tower being the first. I liked the first one more but this is good. Had 18 hops. Rated 4 out of 5 by bonbon663 from Excellent game! Really short! I really liked this game, the level of challenge was good, and the game play smooth. I liked the story also. The only thing I can complain about, and why I'm not giving it 5 stars was that it was really short. So, the content was really good, it didn't last long. Rated 3 out of 5 by Yanie1020 from Rave Reviews?? I don't get the great reviews. This seemed like an older game. Graphics were good but the voiceovers were lacking in emotion. Too many HOPs, not enough puzzles. While there were some different puzzles, they were all too easy. No challenge in the entire game. Music sounded like a music box.